In 1960, Pacific Gas & Electric Company built a natural gas pipeline from Canada to the Bay Area of California. 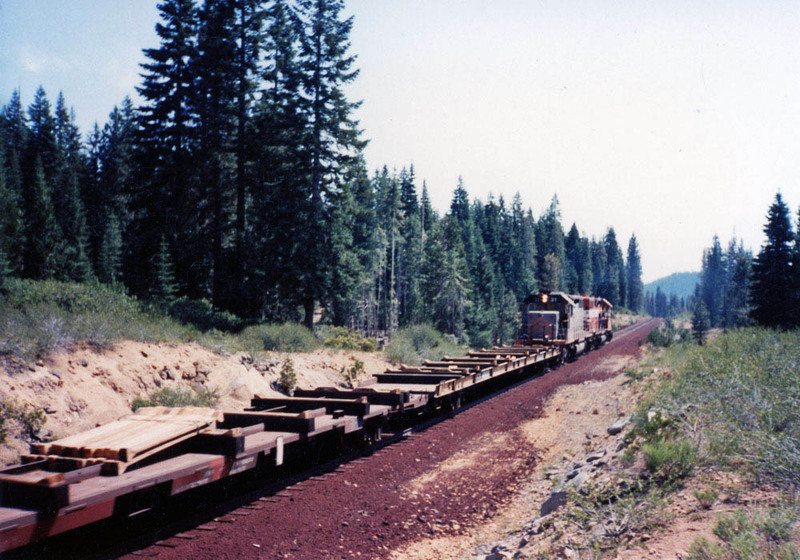 Burney was selected as construction base for the pipeline project, and the McCloud River Railroad moved over 1,000 carloads of pipe into Burney. 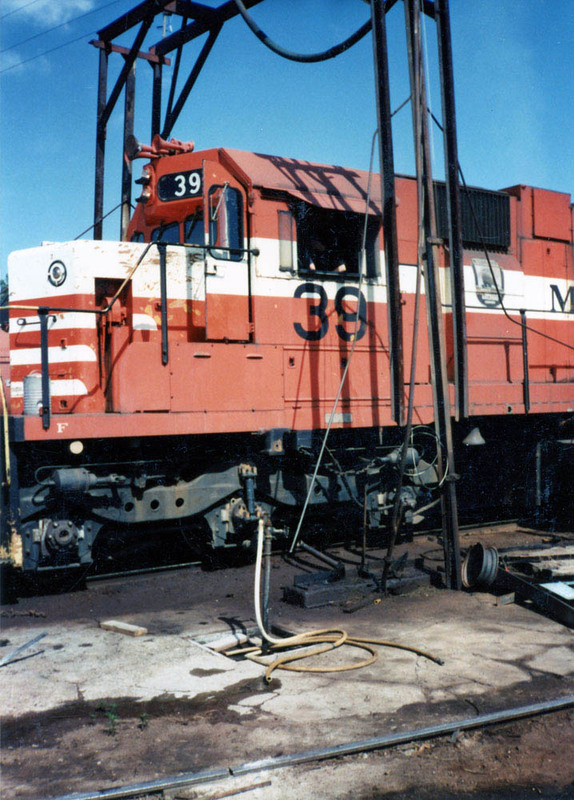 The pipe arrived on flatcars at Mt. 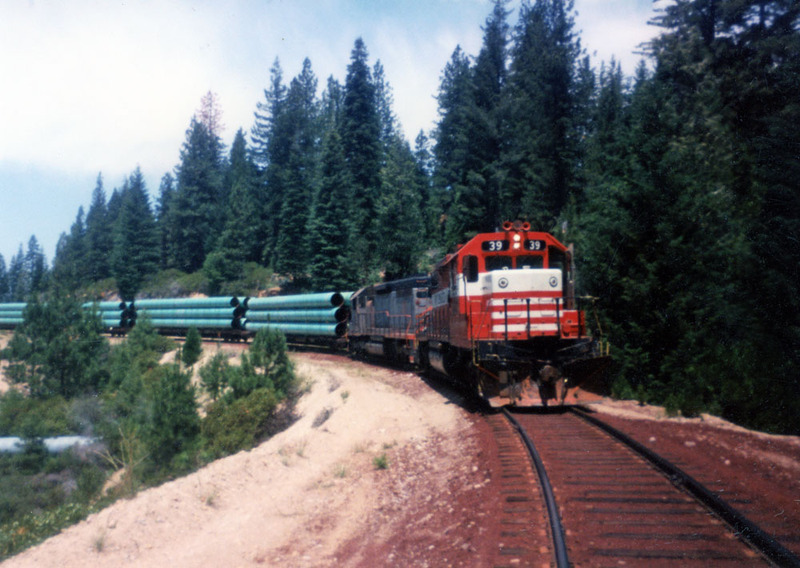 Shasta City, and the McCloud River ran one giant pipe train to Burney every night, using every available locomotive on the property. PG&E decided to add a second pipeline next to the first in 1992, and once again Burney was selected as a construction base. The railroad was once again called upon to haul pipe to Burney. 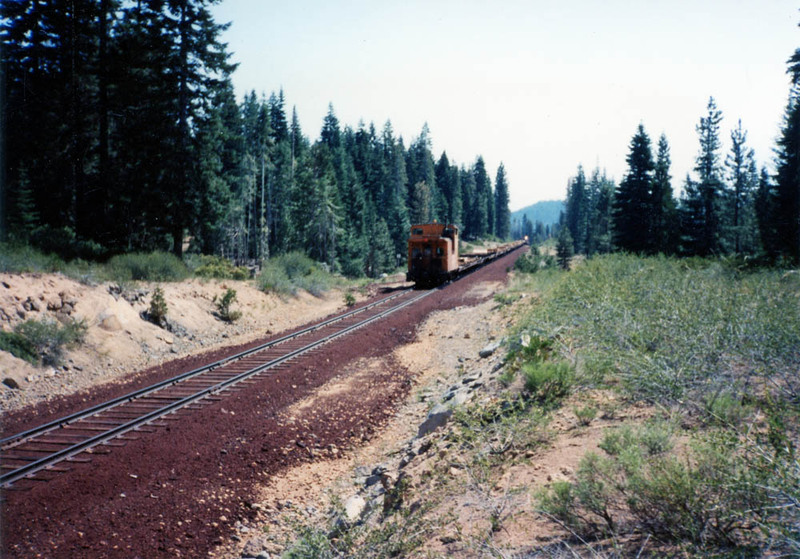 The first train ran on a Friday night in late April of 1992, when two locomotives brought the first 15 cars to Burney before returning light to McCloud. Once again the pipe arrived in Mt. Shasta City, where it was interchanged to the McCloud River. The McCloud River ran one train a day to Burney to handle the pipe traffic. A typical day would see the crew go on duty in McCloud in the mid-morning. Their first act was to gather the empty pipe flats brought from Burney the day before. The crew would then take the flats “over the hill” to Mt. 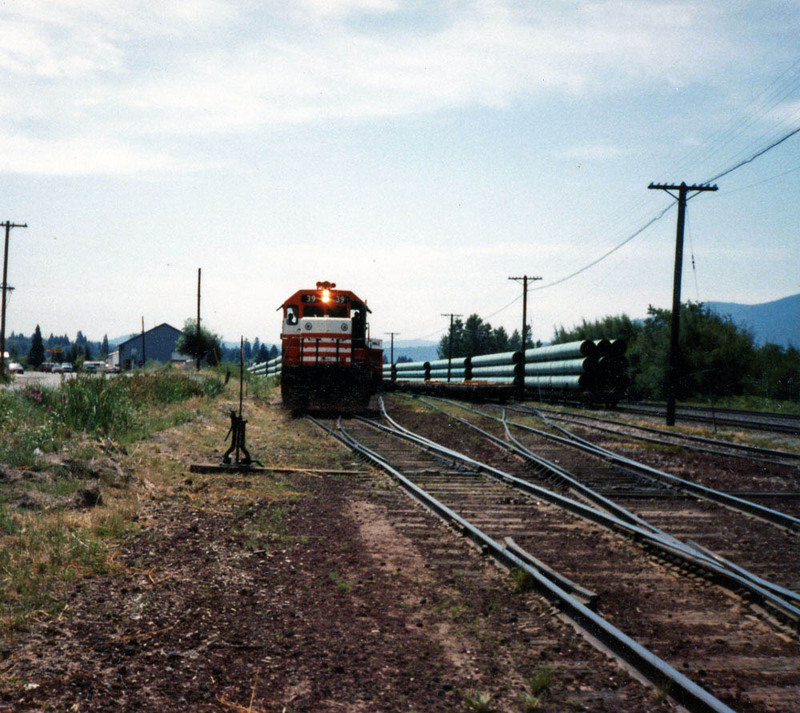 Shasta City, where the 15 empty pipe cars would be exchanged for 15 loaded pipe cars. The crew would then run through to Burney, where the loads would be exchanged for empties, which were returned to McCloud. The cycle would be repeated the next day. If Sierra Pacific needed to be switched, lumber cars would be added onto the pipe train, and the round trip would take two crews to complete. 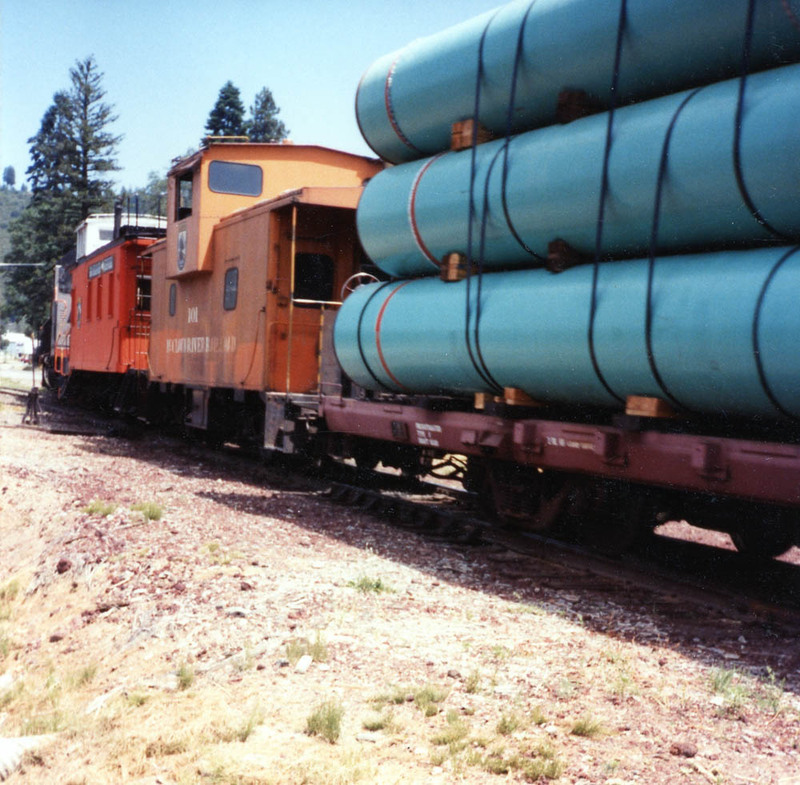 The McCloud Railway Company got to move one pipe train after they took over on 1 July 1992, and the job was done except for a handful of pipe cars that moved to Burney in the spring of 2002 for a small modification of the pipeline. Five Baldwin diesels head one of the trains for the first pipeline out of McCloud. Travis Berryman collection. Big Canyon, CA, 6/1992. A loaded pipe train is seen here paused on the Big Canyon fill while the crew attempts to re-start the #37. Berry, CA, 6/1992. Loaded pipe cars being turned on the Berry Wye.